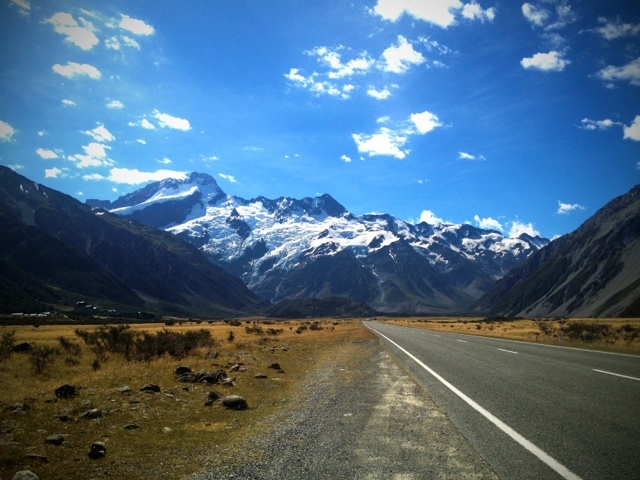 Hired a car and headed up to Aoraki (Mt Cook) for a couple of nights. Stopped on the way at Arrow town for a coffee/brunch lovely little spot but a bit ye olde Devonshire tea'y. I've never been to Aoraki. It's beautiful. Like being in Europe without all the pretence and people. The evening was spent with a beer and steak at the Mounraineers cafe overlooking Mt Cook. Early to bed so as to start a walk early tomorrow.